The McIntosh XR100 speakers offer full range sound in a four-way design. With four 6″ woofers, ten 2″ midranges, and one 3/4″ tweeter, the XR100s have no problem reproducing every musical detail as accurately as possible. The XR100s are as much a pleasure to see as they are to hear with a magnetic grille, an illuminated McIntosh logo, and 3 beautiful finishes. A 75 – 600 Watt amplifier provides adequate power to the XR100s. 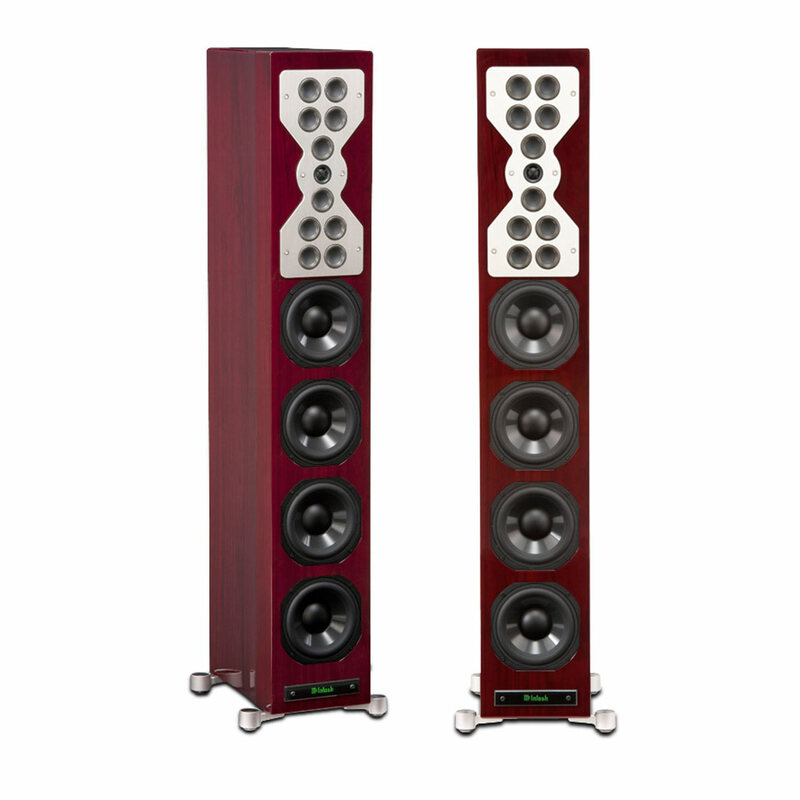 See this PDF brochure from McIntosh about the XR100 speakers.